Stephanie Stremler, Lynden, WA based photographer, speaks at PhotoLush 2015 in in person sales. Ready to invest in yourself, your family and your business?? Join us for an 8 week business boot camp that will totally rock your business into success! The Thriving Photographer™ is officially open for enrollment but only until Sunday, 3/8!! Thrive in The Hot Seat will help you know for sure if this program is what you've been looking for! Leah is offering two live calls so, register for the one that works best for you here! 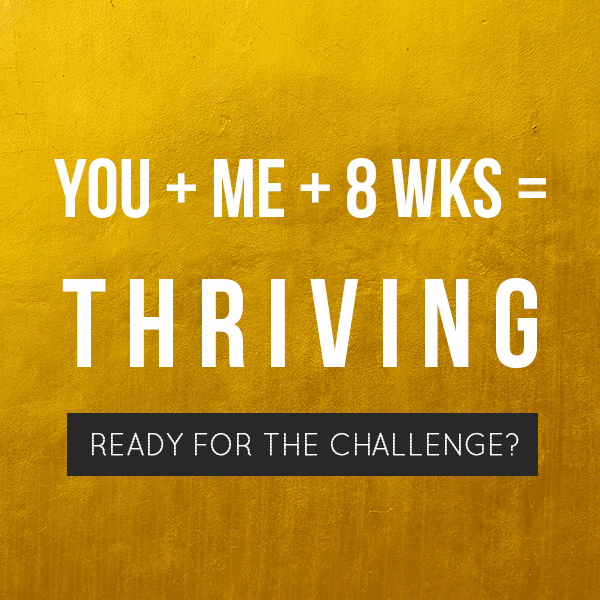 I'm so excited to be a ThriveCoach for The Thriving Photographer™ program! I can't wait to share extra bonuses with you to help get your business on track and organized as well as walk this journey with you - providing one on one mentoring and encouragement! Enter my coupon code TC-StephanieStremler at checkout to ensure you get added to my mentoring circle! For more information on my ThriveCoach bonuses, send me an email at stephanie@stephaniestremler.com. Photographers: It is time to love your photography biz! Ready? A few years ago I was struggling, frustrated and SO tired. I was over booked and up until all hours of the night editing portrait sessions. I was busy. So, so busy. I had no balance in my life - trying to be mama, wife and business owner had me wound up so tight - I could never relax and enjoy life. And despite being so busy, my bank account wasn't reflecting any sort of success. Things had to change. I was constantly wondering how in the world I would ever be able to this. Be a successful photographer. One that actually has a profitable business while balancing being a great wife and mom. Then I met Leah, the creator of The Thriving Photographer program and she mentored me through a business re-vamp! It was the best and most invaluable investment I ever made in my business and in myself. Leah helped me learn how to run a profitable business so that I could do more than just survive. I could THRIVE! Photography is more than just my passion, it is my livelihood. I no longer have to wonder if it is possible to have the life I wanted and I could have never done it alone. Now we are PAYING IT FORWARD! I have personally been invited by Leah to be a Thrive Coach so that I can help Leah lead the next generation of Thrivers through their personal journey from surviving to THRIVING! When you enroll I will be your coach, I will be your liaison, your mentor and guide during your learning. You will become part of my private Thrive Coaching Circle and get one on one support through your Thrive journey via some awesome COACH STEPHANIE BONUSES for you when you enroll with a special COUPON CODE ! I’ll dish more on that in a few… You’re probably wondering what in the world the THRIVING PHOTOGRAPHER program is? THE THRIVING PHOTOGRAPHER is a downloaded-able photography business, pricing and marketing boot camp! The course is designed to be done over 8 weeks, self study. You can do it at your own pace in the comfort of your own home by listening to the audio and completing worksheets and exercises. Then, once you have completed the program you will have the option to join us for a THRIVE RETREAT where we have workshops, laughs and usually a slumber party! The best part is, once you enroll in the program you can learn at your own pace from the comfort of your home in your jammies on your iPad or computer! We will be accepting new registrations only until MARCH 8, 2015 and then then registration will close. It has never been a better time to enroll before the busy summertime hits. You can take the time now so that by summer you can be ready to THRIVE! So you’re ready to hear more, simply email me at stephanie@stephaniestremler.com and I will be happy to provide more details on the course, the cost, the bonuses and also provide a COUPON CODE!! LEARN MORE LIKE: How much does it cost? How much work do I have to do to Thrive? How do I know if The Thriving Photographer™ is right for my business goals? How do I get the bonuses you’re offering? Which Thrive Program should I purchase? (3 options to choose from)? How do I access your bonuses and get added to your Thrive Circle? I can't wait to help you along on your journey so you can THRIVE too! Weston James arrived on August 4, 2014 at 9:18 AM. 8 pounds, 7 ounces and 20.5" long. We are busy adjusting to life with two sweet littles and couldn't be more blessed. His birth story and pictures from the big day to come in the near future! Hope you are having a great summer too!